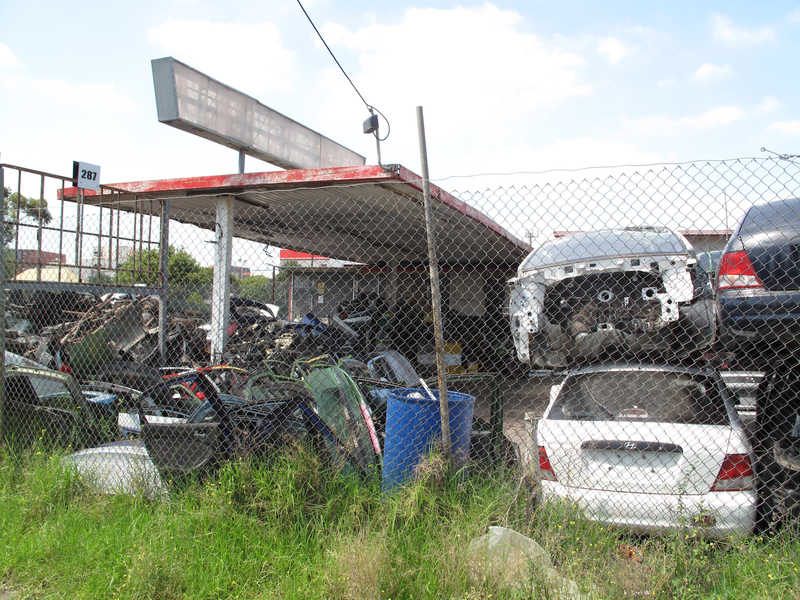 They’ve been, with very few exceptions, stomped out of existence by mega-servos that come with car washes, shops and fast food outlets. But like the corner shops that have met a similar fate, their ghosts linger. Often they’re still in use for automotive purposes. Sometimes they’ve been utilised for other uses. And sometimes all traces are gone save for the memories of locals. This survey is not meant to be comprehensive or methodical. Basically, it’s the result of a day’s driving that took in those old servos of which I was already aware, with a happy stumble of a couple of neat surprises thrown in. If readers send me photos, I’ll do a follow-up spread! 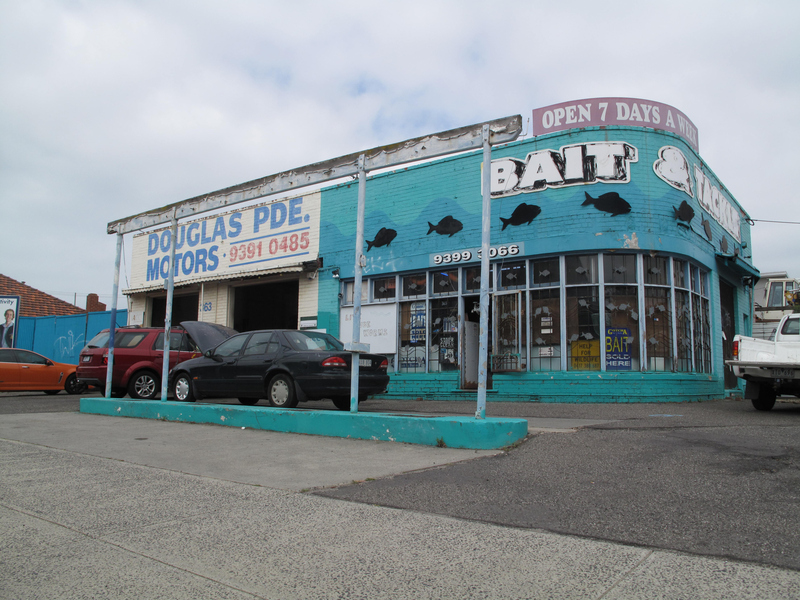 Douglas Parade Bait and Tackle, Douglas Parade, Spotswood (near The Warmies). 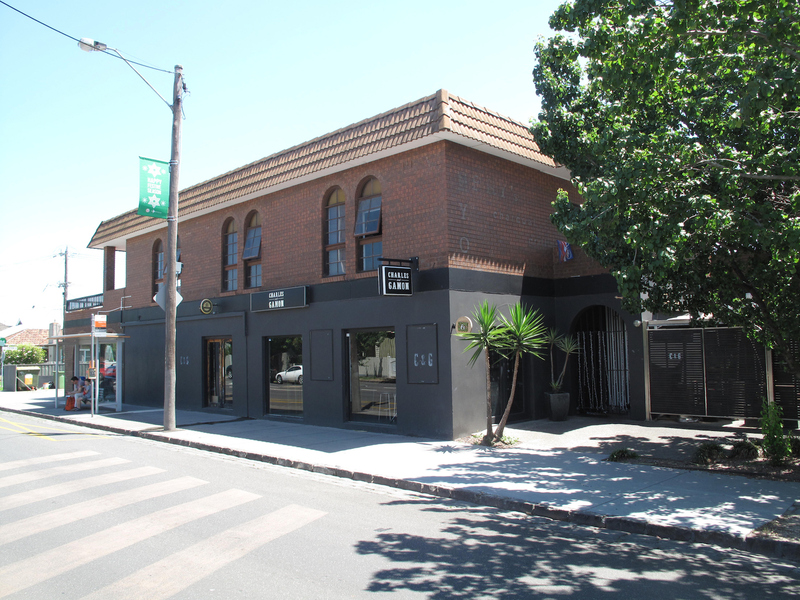 Corner Barnet Street and Pentland Parade, Yarraville. Bowsers intact, but I’m told the auto repair shop that operated here for many years is no longer doing so. 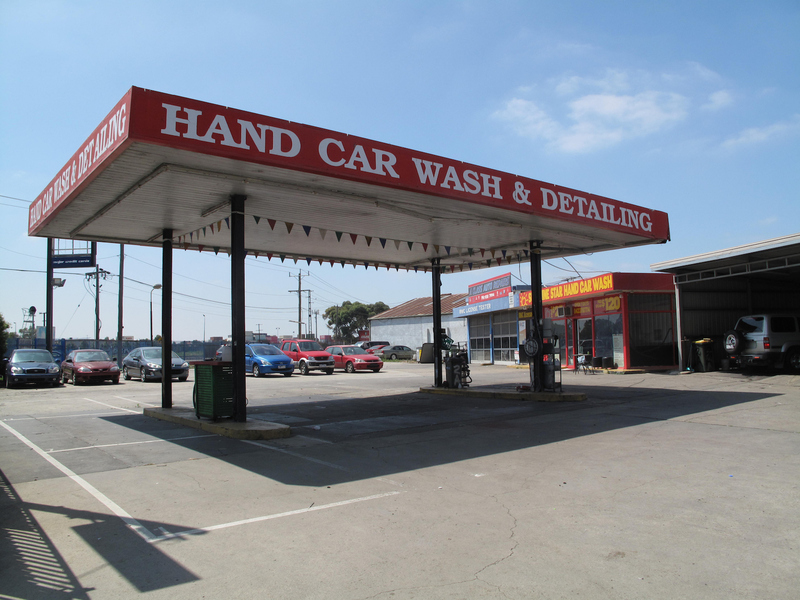 Andy’s Servo, corner Anderson and Glengala roads, Sunshine. 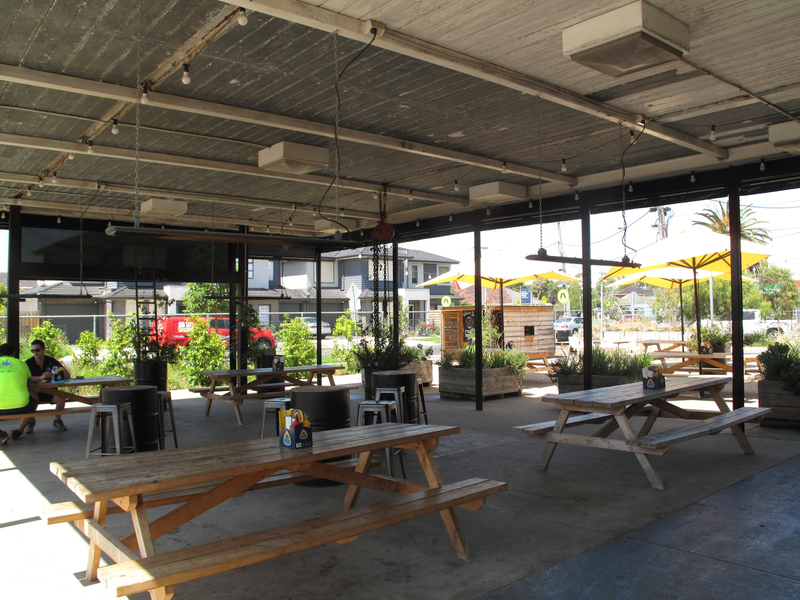 Sunshine Social, Glengala Road, Sunshine West. Corner Napier and Whitehall streets, Footscray (opposite the Reverence Hotel). 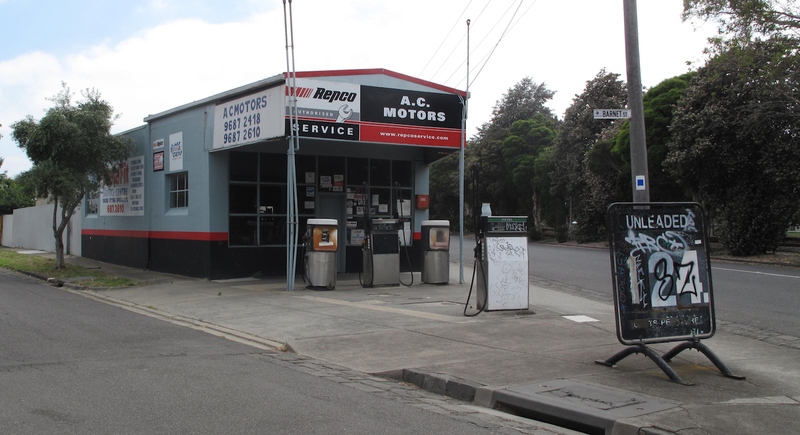 The proprietor of the mechanics shop here told me the tanks remained intact and that he reckons it was servo until some time in the 1950s. He showed me an invitation to exhibition launch featuring the work of signwriting outfit Lewis and Skinner. See details here. And the boss also informed me the premises/property operated as a Cobb & Co depot in the early 1900s! Corner Charles and Gamon streets, Seddon. I was unsure of servo status of this building. So I dropped in to visit my friends Deborah and Roger, who have lived right opposite for a long time. So The Bowser name leads us to conclude it was indeed a servo at one time. The charcoal grill, serving Macedonian food, was much loved and has been discussed in comments on previous CTS stories. 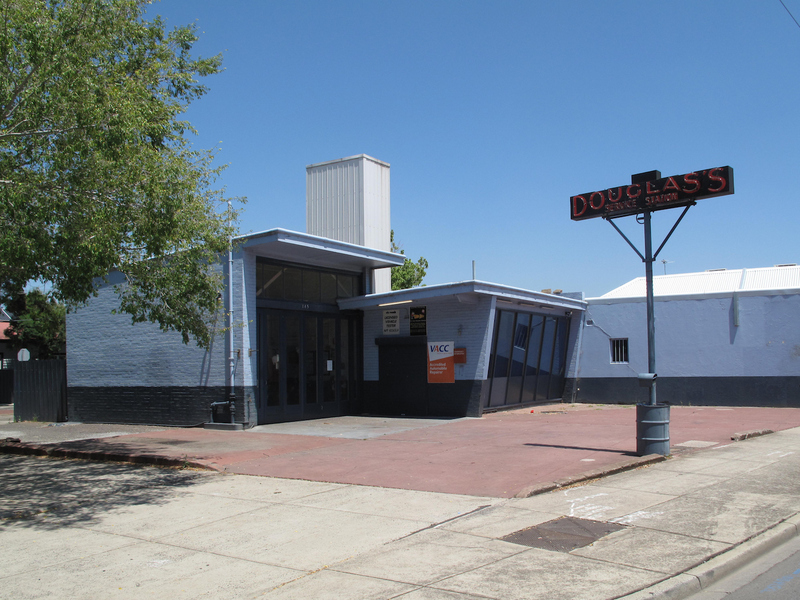 Deborah flipped through the relevant pages of the history of Yarraville she and Roger produced in conjunction with the Footscray Historical Society. 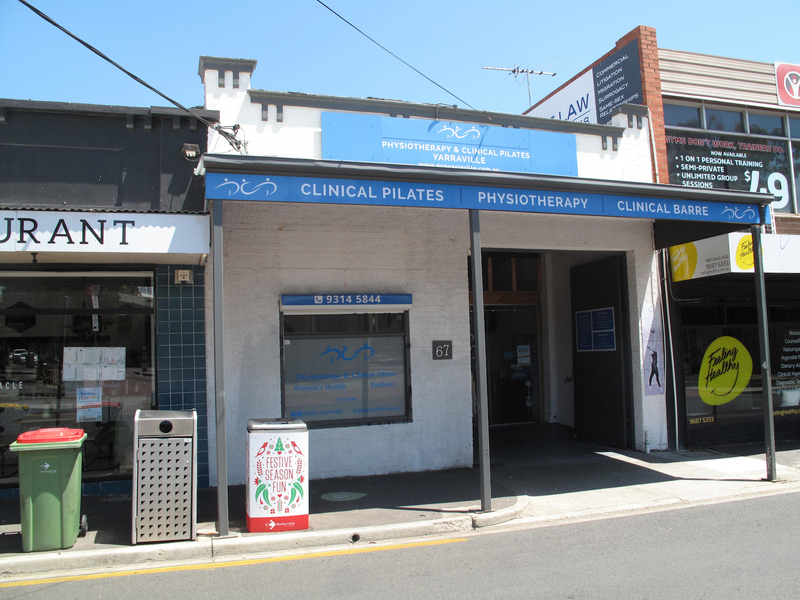 And there they were – a couple of very old bowsers stationed outside this building, which is these days a health services centre, located right next door to Coracle (formerly happy Four). Bery’s Charcoal Grill. I might have written about this before so I will keep it short. Mr Bery (not sure whether this was his first name or surname) had a shop opposite the SSB in Charles St (now the newsagent) in early 70s, perhaps even before that. Around 1972 there was a mysterious fire in the shop. Around this time there was a disused petrol station on the corner of Charles and Gamon which proved fortuitous to Mr Bery. Not sure of the exact timeline but I suppose by mid 70s Mr Bery built that monstrosity that is there today in much the same form save for the beer garden. (BTW, for many a year after that Mr Bery still had much of the salvaged furniture, (table and chairs) complete with scorch marks from the fire earlier). Notwithstanding the architectural merit or lack thereof, Bery’s Charcoal Grill became an institution in the inner west for delicious home style Balkan cooking. It hosted birthday parties, weddings, end of year socials and probably the odd wake. And of course casual dining. When Mr Bery came time to retire he tried to get his son to take over the business but that didn’t work out so Bery’s Charcoal Grill entered the history books. Sadly to this day no enterprising restaurateur has come forward to try to replicate a winning formula – not in the inner west anyway. Thanks, Pablo! Have corrected the spelling. The family lived a bit further up on Charles st and used the same bricks to build their house. This house is still in the family. 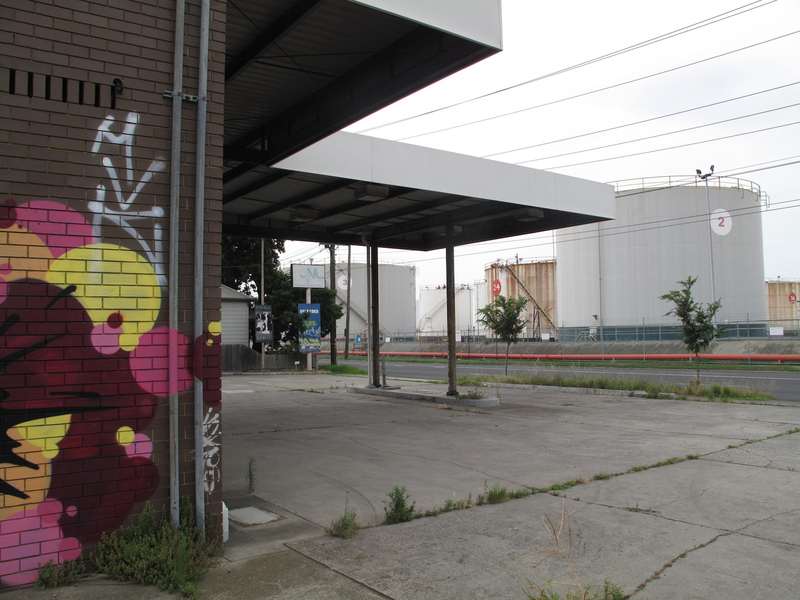 there’s one on the corner of Whitehall and Napier Sts in Footscray, opp. the Reverence Hotel. It has a funny cutoff corner, where the bowsers were. I can remember going there. It’s now a trailer hire I think?? Hi Anna1 It’s in the story! haha, silly me, I didn’t recognise it, thought it was a Trailer Hire but obvs not any more! To remedy my mistake, how about this one: corner of Ferguson Street and Electra Street in Williamstown. 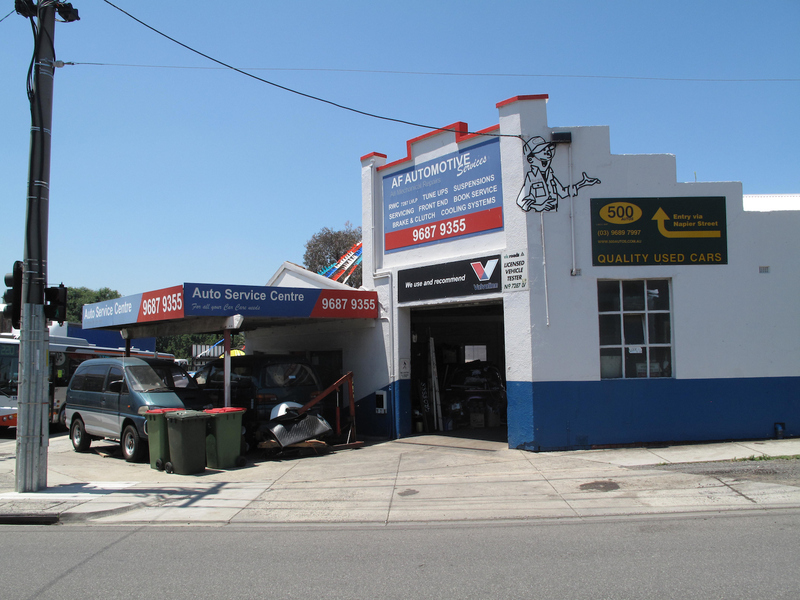 Was a servo of some kind I believe, then was a clothing shop for years now a gym plus a barber shop (I live here, you’d think I’d know….case of drive past it and not really look!). There’s a picture-book in this: Old Bowsers of Oz. Bery’s was a servo, I think it was a Golden Fleece, yellow and blue being their corporate colours. The toilets are the giveaway, as they have not changed position. Bery’s was a great place with an awesome jukebox that had many great punk and alternative discs, I think you got 3 plays for a dollar. The cepavi & bean soup was a winter winner. Anyone remember the grill joint at the other end of Gamon street on the Somerville Rd corner? Hi Scott! Great comment. Gamon and Somerville? Wow! Ethnic grill? Or Oz-style steak joint? Greek style grill. Went once or twice, but always went back to Bery’s. As did most others, probably why it closed. There was also a steak house, grille, on Barkly St, called Westfork, opposite the KFC between Gordon st. & Creswick St. The guy that ran it was a butcher so the meat was great. It was around during the early 80’s for a couple of years only. 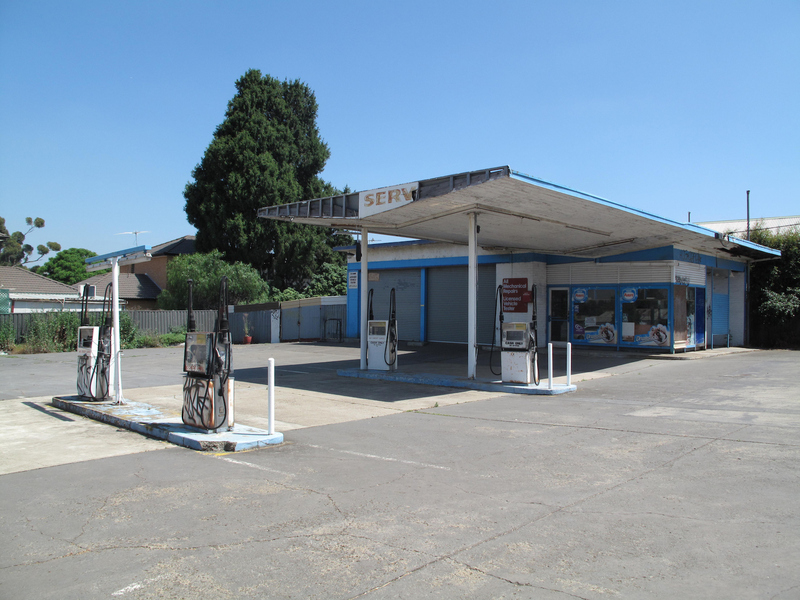 There used to be a servo/mechanic on the corner of Mason and Hansen streets in Newport, across the road from my old place. It was eventually knocked down and the site decontaminated. and 14 townhouses built on it. But one winter’s night while it was still functioning, a couple hundred locals stood around silently watching Blue Heelers film a scene there, and then waiting for Lisa McCune to come by and sign autographs. The corner of Charles & Gammon St … was a Golden Fleece Service Station my parents ran it during the late 1950s until about 1961. Did they build around the original structure as somebody mentioned the toilets were in the same position in the Service Station?